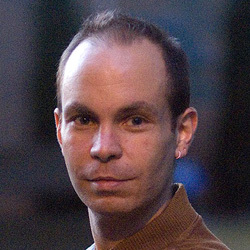 The interdisciplinary practice of Donato Mancini focuses mainly on poetry, bookworks, text-based visual art and cultural criticism. His books and chapbooks include Snowline (2015), Loitersack (2014), Buffet World (2011), Fact ‘N’ Value (2011), Hell Passport no.22 (2008), Æthel (2007), 58 Free Coffees (2006), and Ligatures (2005). Ligatures and Æthel were each nominated for the ReLit Poetry Award, and Ligatures received honourable mention in the Alcuin Society book design awards. Mancini’s published critical writing includes work on the archive, time, and memory in Anamnesia: Unforgetting (2011), and a discourse analysis of poetry reviews in You Must Work Harder to Write Poetry of Excellence (2012). He holds a Ph.D. in English from the University of British Columbia. The following are links to other Web sites with information about poet Donato Mancini. 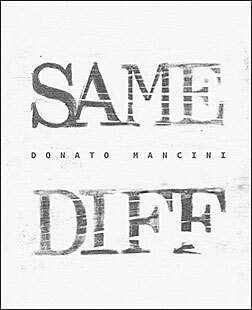 Have you read Same Diff by Donato Mancini? Add your comments to this page and let us know what you think.